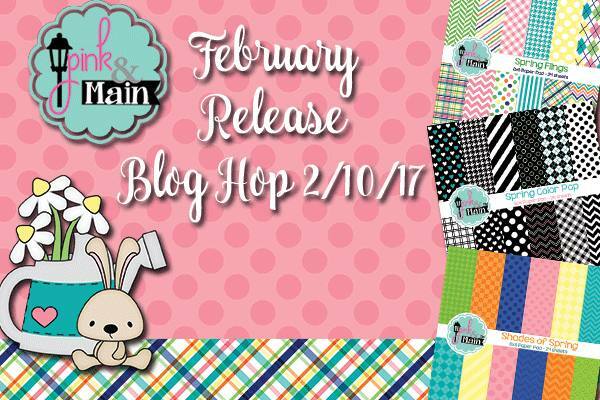 From Hand and Heart: Pink And Main February Release! What a darling card! I love that you made it different than the traditional rectangle A2 card. Great fold on this card!! That set is just adorable! Love the fancy fold card and the color combo is awesome! Awesome card! Love the colours and those bunnies are too cute! How cute! I love the black/red color combo and the sweet sentiment. This is perfect for Valentine's day! I love the pretty papers!! Love the black & white!! The bunnies are simply adorable!! Such a super sweet card!! LOVE the layout!...never would have picked those colors...it TOTALLY WORKS! Super Cute! Adorable card and design! The color combination is so awesome with the black and red! Those bunnies are absolutely adorable! Congrats on the guest designer spot too! 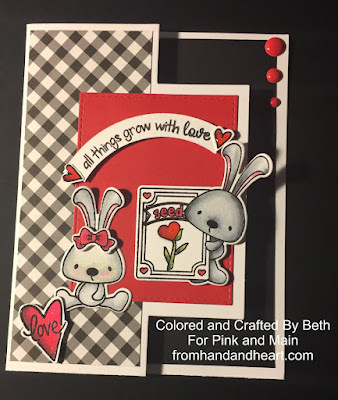 Adorable card and I love the pop of red! I love the beautiful papers and your card is amazing! Love the colors you chose. Made the card POP out at me and I love it. What a creative twist to a Valentines Card. I love the way you colored the bunnies. Great card design. Love the bunnies! Love your fantastic card. 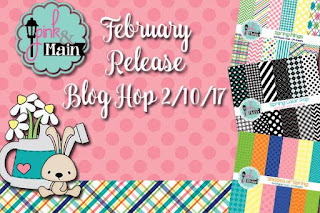 Great color combo and darling bunnies. Can't stand the cuteness!! Love it!! I love interactive cards!! And that pop of red is gorgeous!! Great card, love the black and red colour combo. Sooo cute, love the color combo. Wonderful card. I really like the black and white on it. Spectacular card design. Love all the beautiful detail. Sweet card! I like your card design! Such a cute card! Love the colors you chose too. Awesome card. Love the bunnies. The papers are beautiful, love this card! Wonderful design for such a cute card! 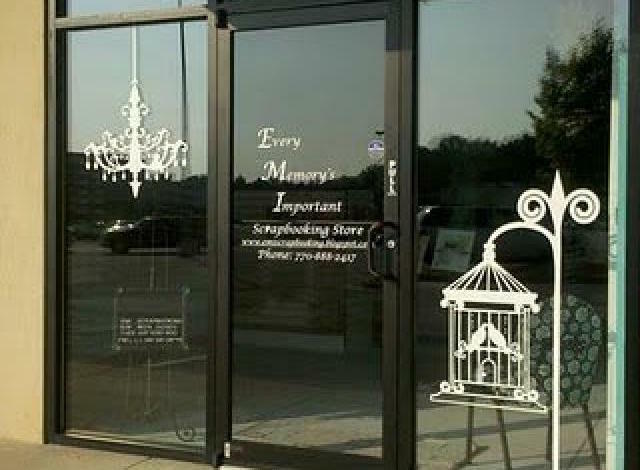 Very cool design! The papers and little critters are awesome. Lovely card. 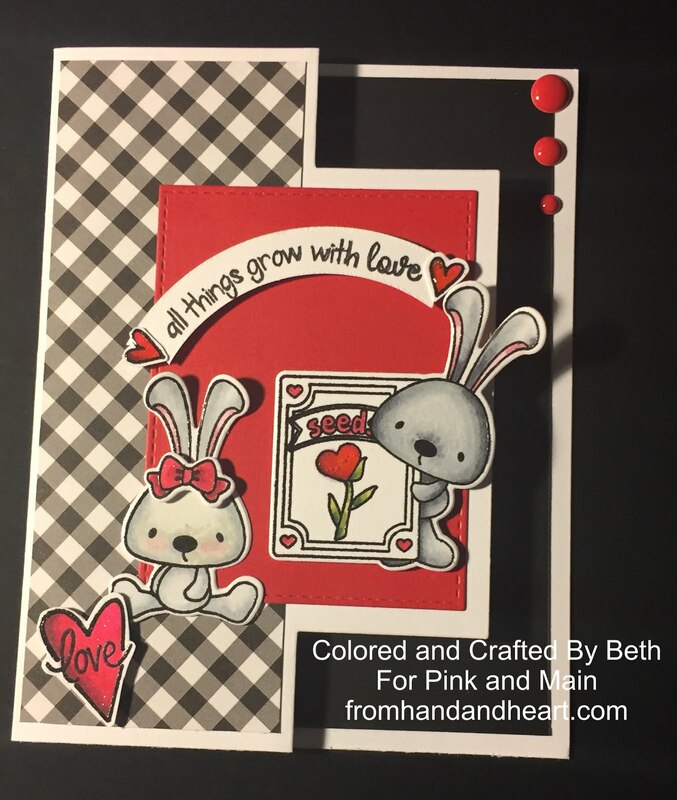 The touches of red pop wonderfully against the black and white, and the bunnies are adorable! I love this card! I am a sucker for red and black, unfortunately my hubby hates black. Great layout for it as well. Awesome job! I love the shape and colors of this card! Oh my goodness that stamp set is so sweet and cute! Love it! Ooh! Look at that new paper! 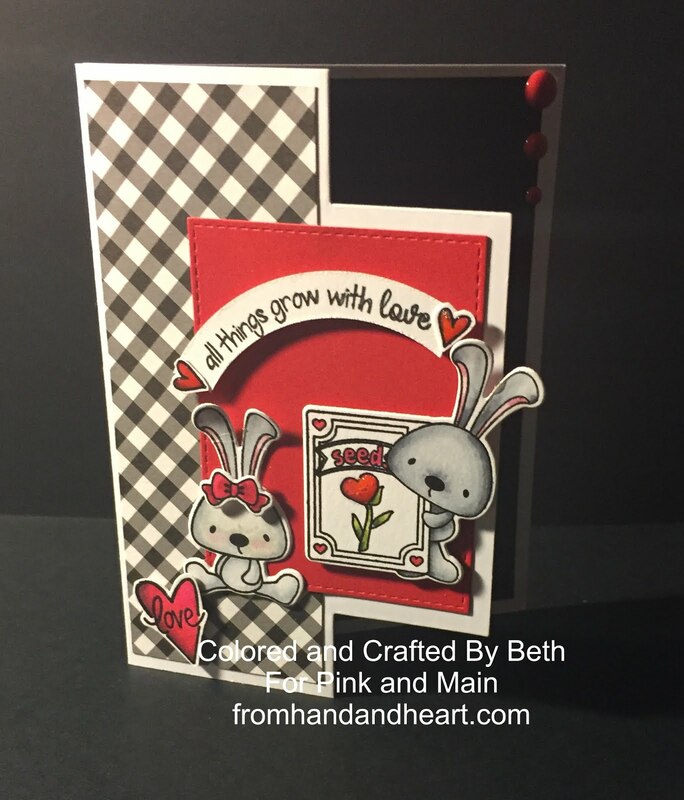 Love it on your card and love your design! These bunnies are so cute! Love the way it opens! Great card. I love the color scheme.